Welcome to the AVTech Awards for 2016/17, where once again the UK’s trio of premium AV magazine brands – Hi-Fi Choice, Home Cinema Choice and Hi-Fi News & Record Review – come together to celebrate the very best hardware you can buy, stretching from headphones and portable music players to flagship floorstanding loudspeakers; from 4K TVs to projectors and Ultra HD Blu-ray players; from media streamers, USB DACs and headphone amps to turntables, integrated and pre/power amplifiers and every black box and cable in between. Review: Home Cinema Choice 265, or click here. Review: Home Cinema Choice 260, or click here. Review: Home Cinema Choice 259, or click here. Review: Home Cinema Choice 263, or click here. 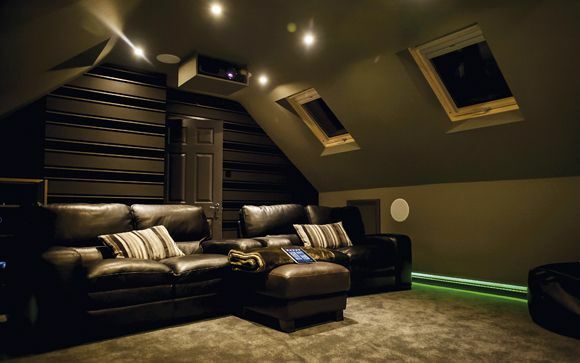 Review: Home Cinema Choice 261, or click here. Review: Home Cinema Choice 263. or click here. Sky Q represents a major overhaul of the company’s satellite TV/on-demand platform, ushering in a varied range of 4K content, music streaming support and Wi-Fi-based multiroom viewing. The Q Silver PVR is the box that makes it all tick. Sleeker than previous Sky+HD hardware, it still finds space for a generous 2TB hard drive and 12 tuners – the latter allowing for unrivalled recording flexibility (‘clashes’ are a thing of the past) and smartphone/tablet integration. Yet perhaps the real success story is Sky’s new user interface, which makes enjoying all this televisual innovation effortless. It’s the perfect choice for telly addicts and 4K aficionados. By extending the scope of its MusicCast multiroom system to include its AV receivers and soundbars, Yamaha invites movie enthusiasts to share the fun. A home cinema setup becomes a premium multiroom zone, while TV and Blu-ray sources can be streamed to up to 10 other devices on the MusicCast network, including the brand’s single-box speakers and hi-fi separates, plus third-party hardware via Bluetooth. Intuitive operation comes via the MusicCast controller app, with Spotify Premium and vTuner radio built-in. It’s impressively flexible. REL’s mid-range bassmaker has been given a ‘Super High Output’ (SHO) revamp, incorporating an updated 10in driver, new 400W amplifier and revised electronics. In use, these refinements prove their worth, with the S/3 showcasing a fast, tight grip on LF effects and soundtrack basslines, and a scale to match larger subwoofer designs. Impact is impressive, as is the lack of overhang. The styling, including the side-mounted carry handles and chunky, emblazoned aluminium feet, remains as slick as ever. Setup flexibility comes in the form of simultaneous high- and low-level connections and compatibility with REL’s LongBow wireless transmission system. This small-scale add-on from video specialist DVDO features a one-in, one-out HDMI stage married to VRS ClearView 4K upscaling, enabling standard-definition and 1080p sources to be treated to a digital massage before passing on to a 4K display. Particularly beneficial with entry-level/mass market Ultra HD TVs, it’s brilliantly effective at teasing out greater sharpness, clarity and a sense of image depth, and the level of user adjustment on offer (tweaks can be made to scaling strength, detail and edge enhancement, noise reduction and more) is welcome – as is the sensible price tag. It’s a potential AV life-saver if you think your 4K TV should be doing better.